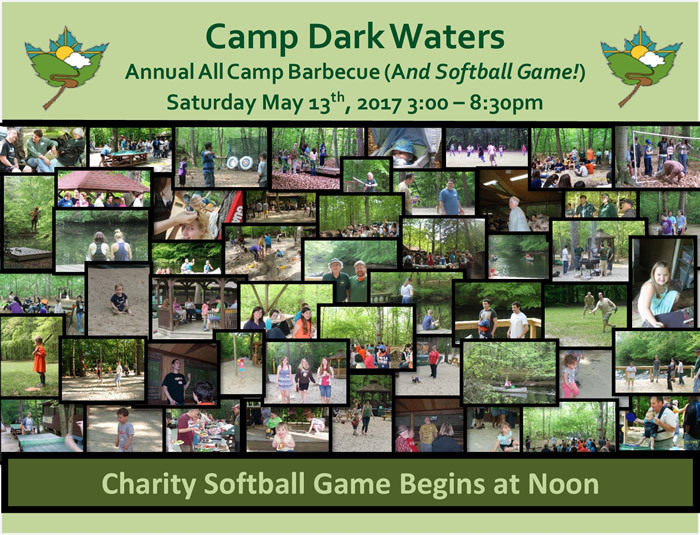 Please join us for our Annual CDW All Camp BBQ! Enjoy a day of classic camp activities, learn about our plans to elevate the Dining Hall, check out the New Watseka, have a delicious barbecue dinner, and of course a campfire and s’mores! Join us for a whole day, or just a few hours and join in loads of fun with friends old and new. Rain or shine. We can’t wait to see you! We will again have a suggested minimum donation of $15 per adult and $10 per child to help cover costs and support camp operations. Prior to the picnic, join the fun of the Annual CDW Softball Game. Game time is 12:00 (noon). A $50 donation is request to play in the game and includes a team T-shirt. Proceeds support the camp operations.